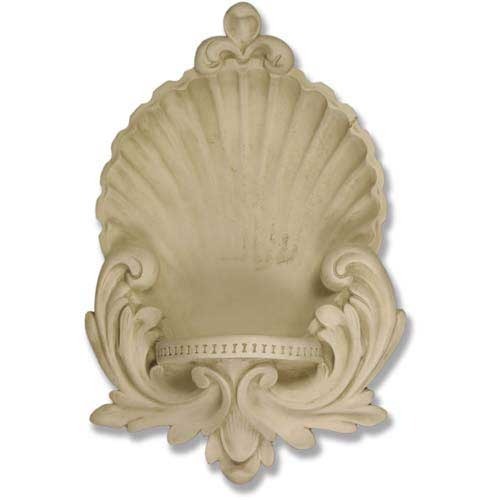 Wall niche shaped like a seashell. With large curving leafs coming up from the sides. A shelf that is 6 inches deep. So it is large enough to hold a statue or vase. Outdoor suitable year around.